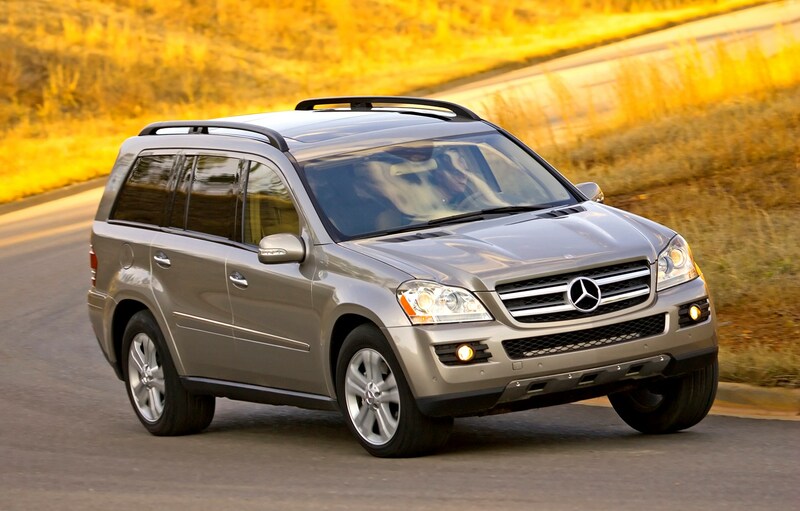 This car has been superseded by a newer model, click here to go to the latest Mercedes-Benz GL-Class (13-15) review. 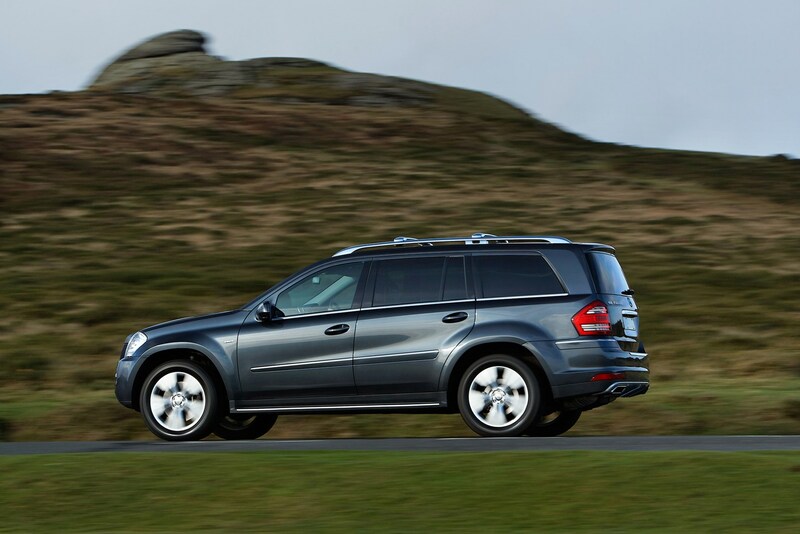 The Mercedes-Benz GL-Class performance portfolio contains a trio of fairly powerful engines. 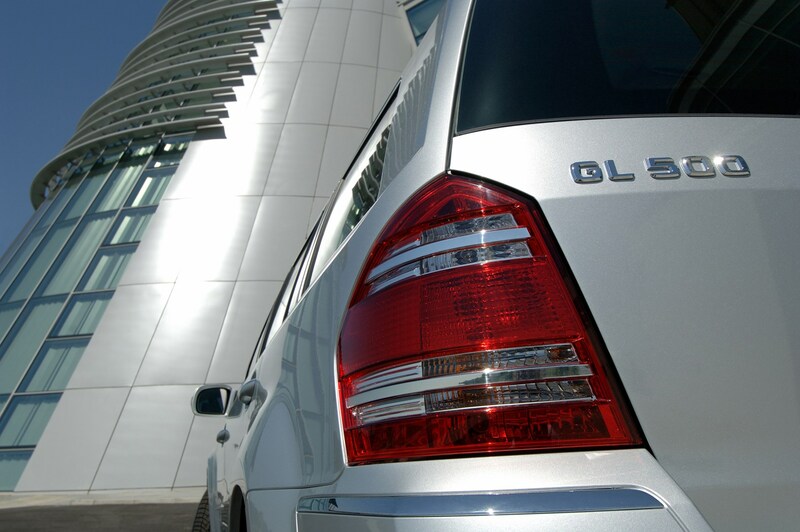 The GL is a great performer out of town and is well-suited to long-distance motorway driving, where its well-insulated interior and relaxed engines make it a comfortable cruiser. 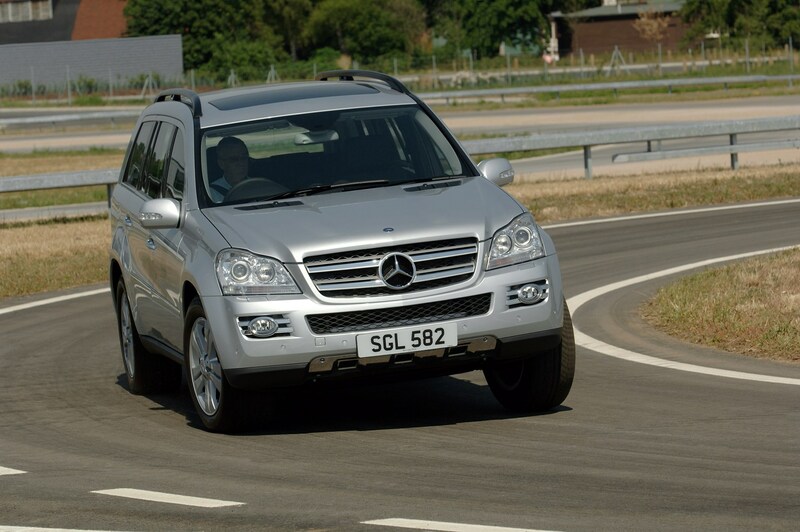 On the open road, it performs better than many other off-roaders with an agility and pace that belies its substantial size. 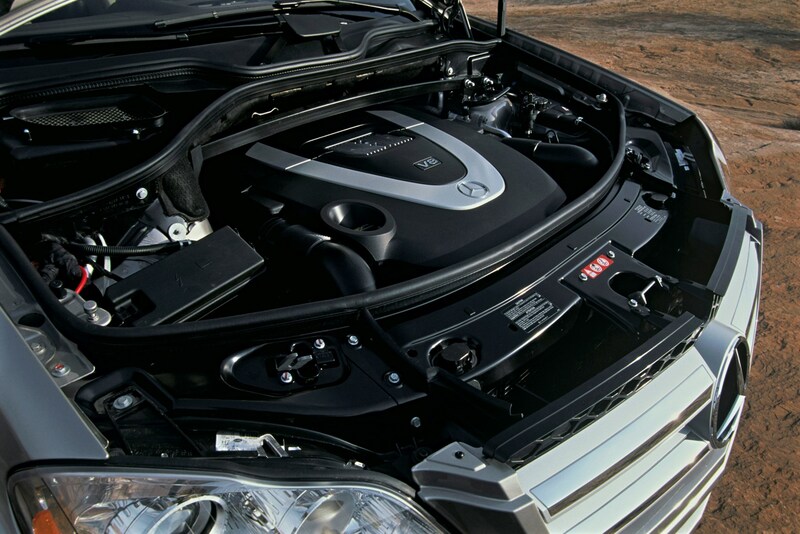 Three engines are offered - two diesels and a petrol. 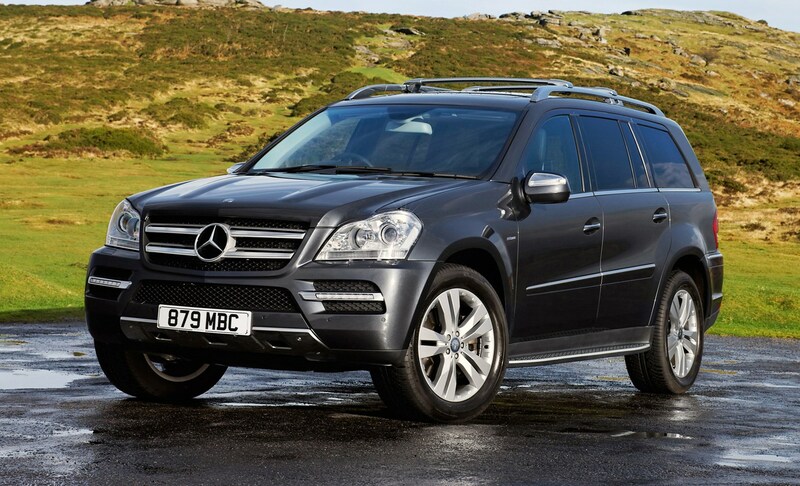 The GL500 gets a 5.5-litre 388bhp V8 petrol, while there’s a 3.0-litre 224bhp V6 turbodiesel for the GL320 CDI. 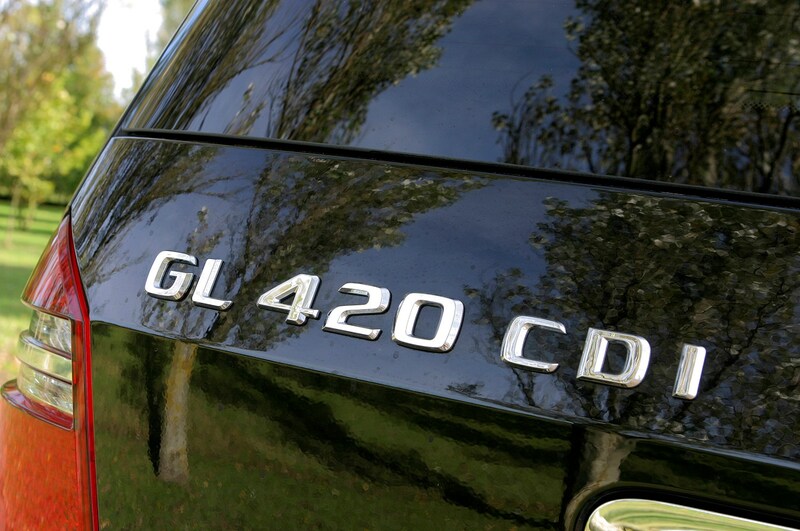 The 4.0-litre 306bhp V8 diesel in the GL420 CDI offers plenty of pulling power while remaining refined when cruising and it's rapid too - managing 0-62mph in 7.6 seconds. 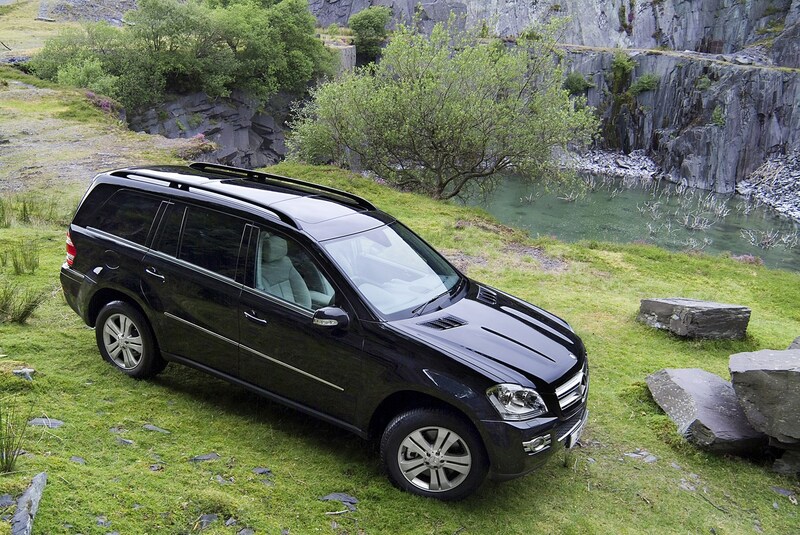 These two diesels are more popular with buyers who want to take full advantage of the GL’s 3,500kg towing ability. 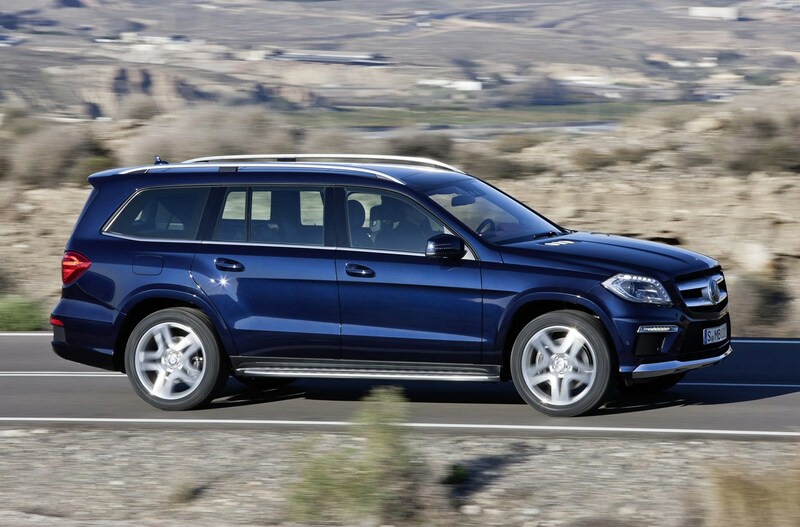 Unlike the M-Class, there are no plans for a fire-breathing AMG model, although the range-topping GL500 is hardly a slouch. 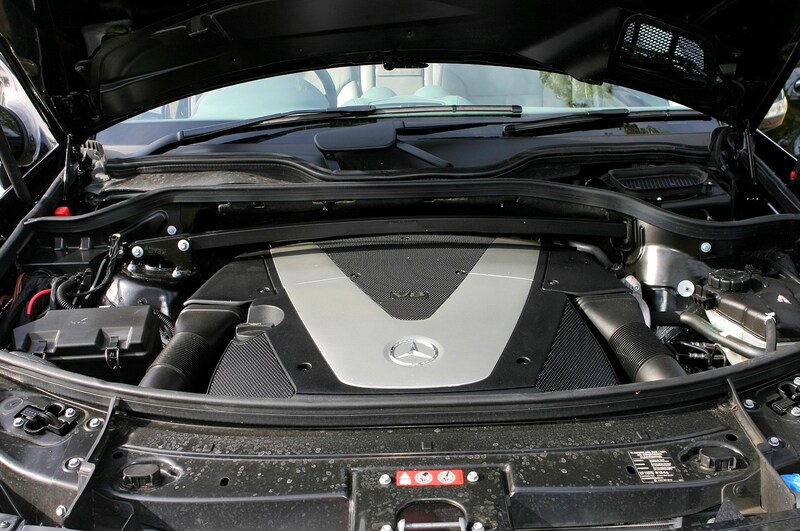 It’s quicker and faster than a Volkswagen Golf GTI, sprinting to 62mph in 6.5 seconds and onto a top speed of 149mph. 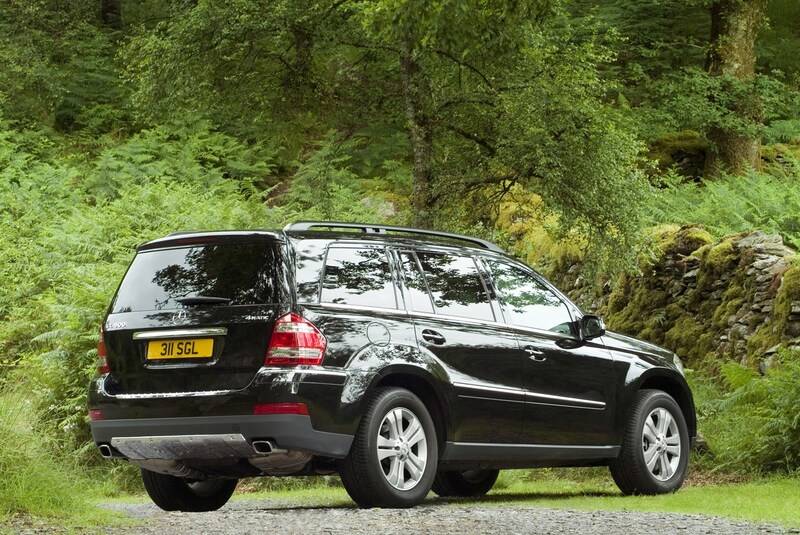 Not bad for a car that weighs in excess of two tonnes. 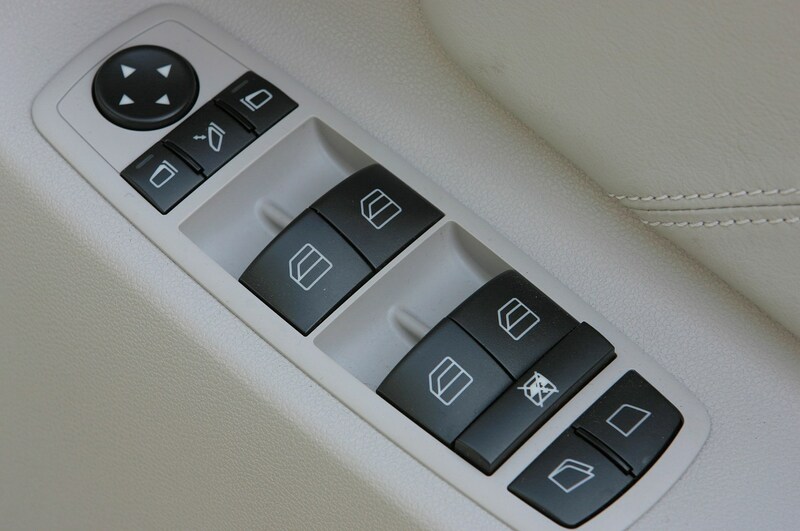 All models get a seven-speed automatic gearbox as standard. 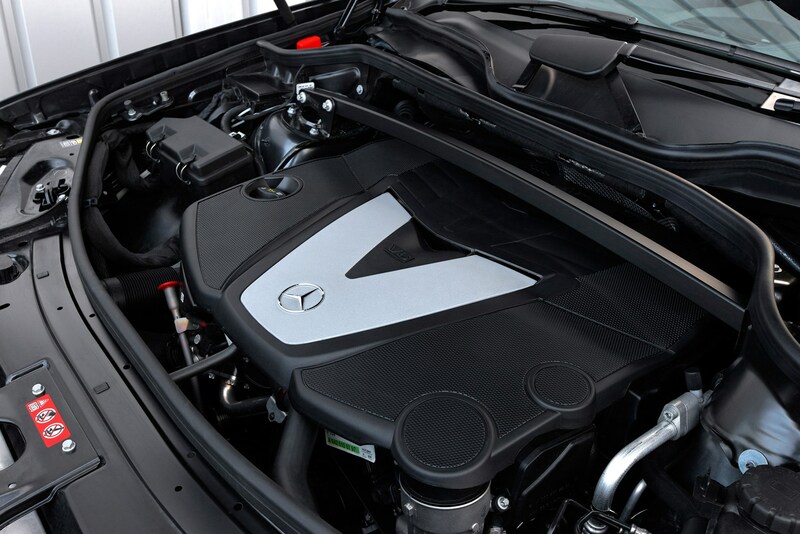 The facelift saw the introduction of two new diesel engines to replace the old versions. 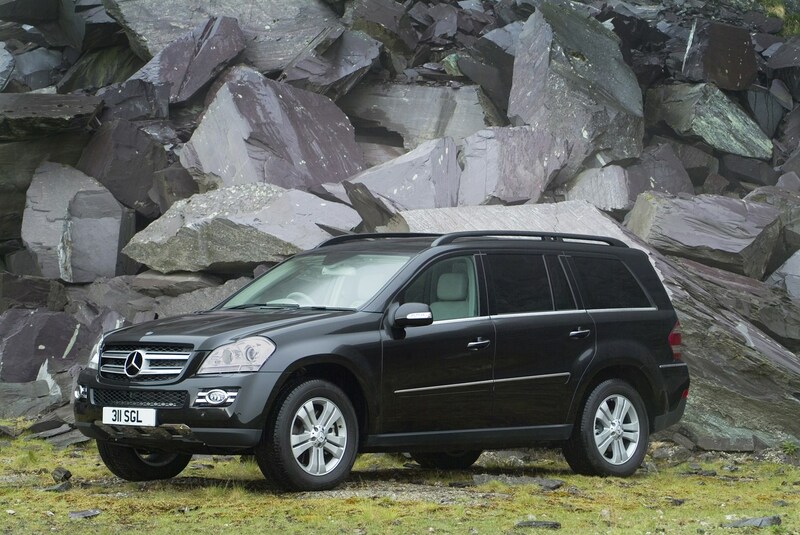 The GL350 is a 220bhp 3.0-litre which helps the GL to 62mph in 9.2 seconds. 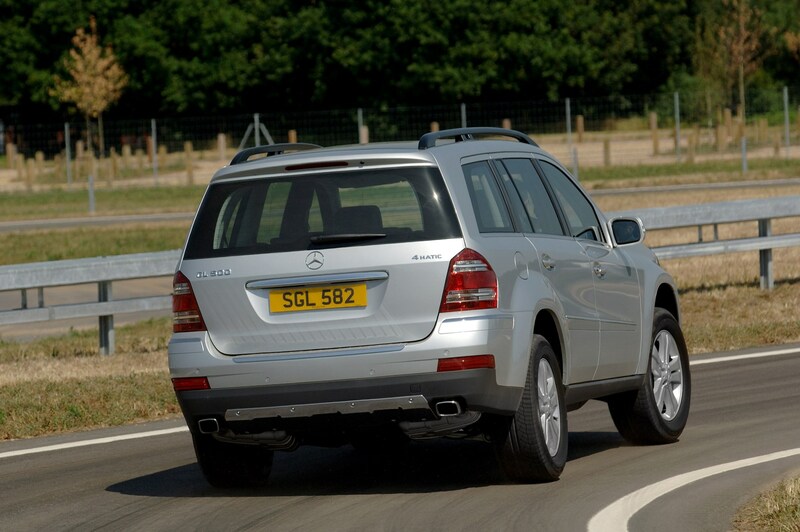 The GL450 gets a 4.0-litre with 301bhp, hitting 62mph in 7.4 seconds. 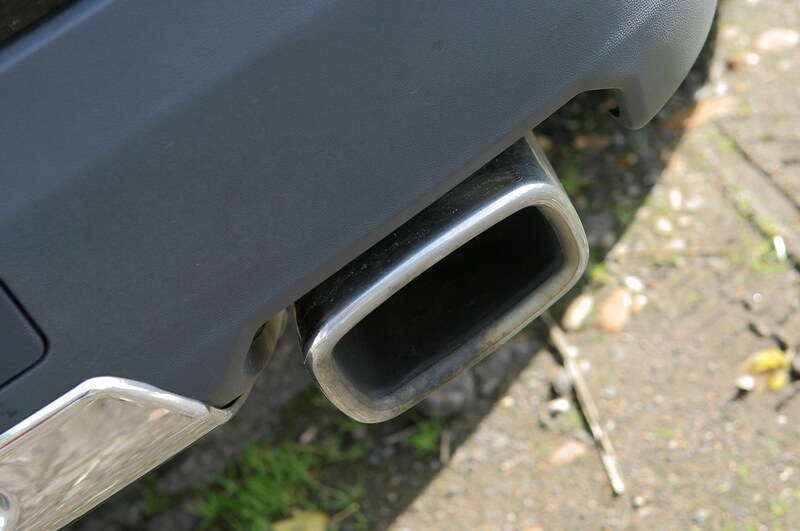 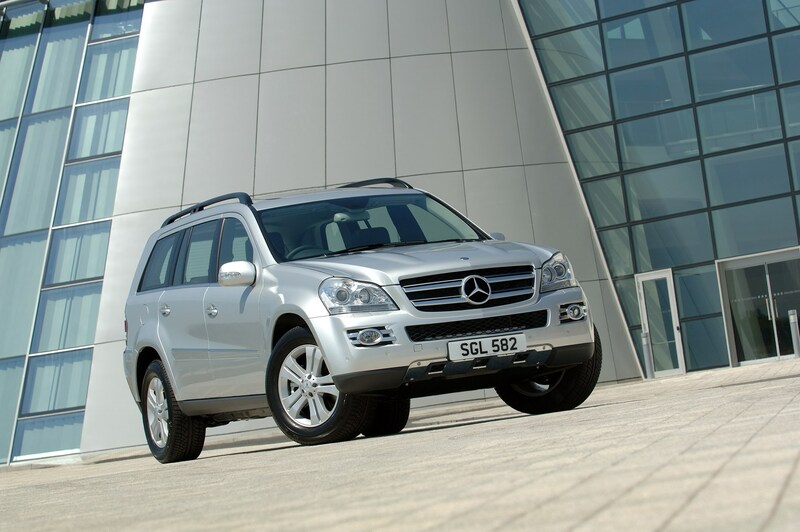 We’d suggest those looking for acceptable running costs should go for the GL320, or GL350 if looking at post-2009 cars. 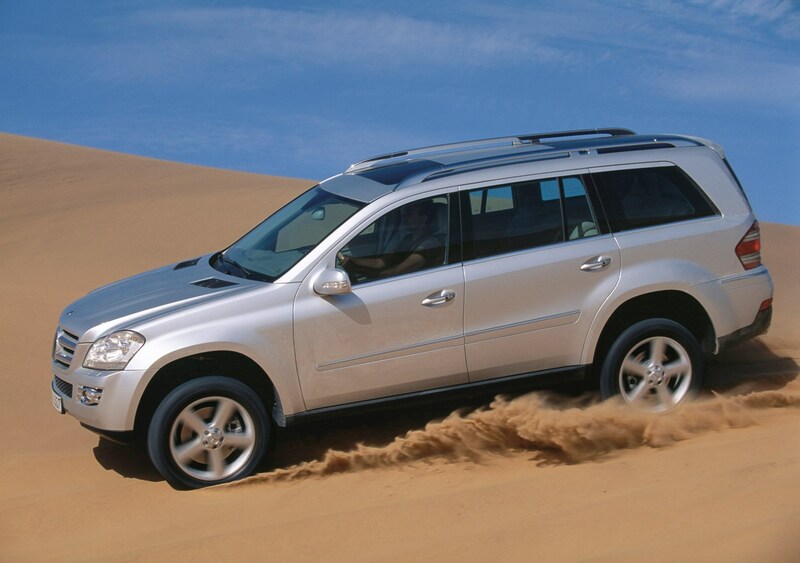 The GL is a huge vehicle. 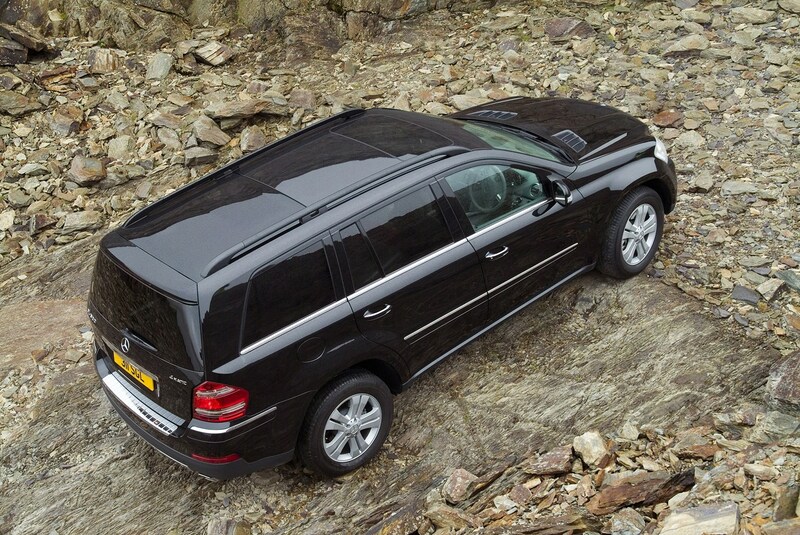 It's more than five metres long, which is 11cm longer than a Range Rover - itself an imposing car. 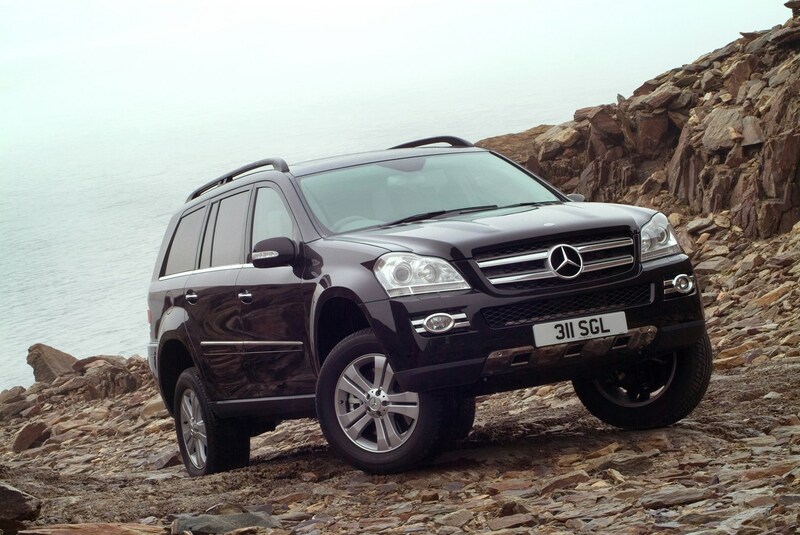 Around town this size is noticeable, especially when parking or attempting a tricky manoeuvre. 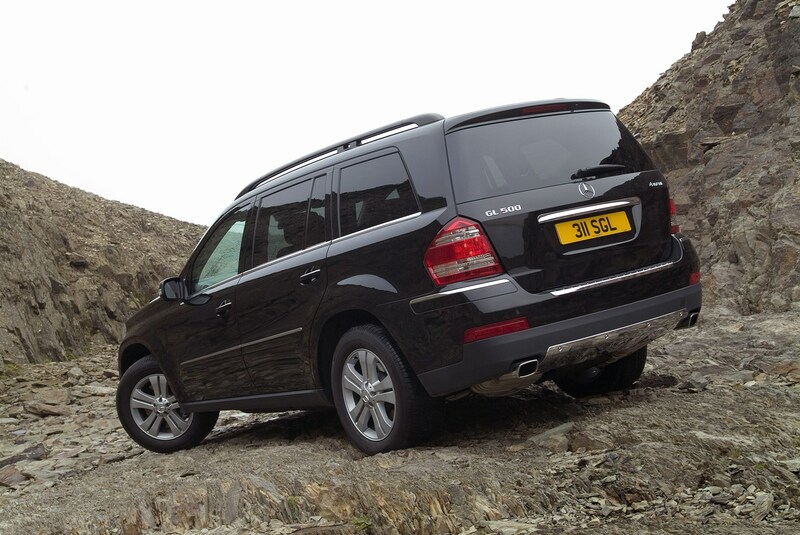 But it's no wider than most off-roaders, so driving down narrow streets isn't as daunting as you may imagine. 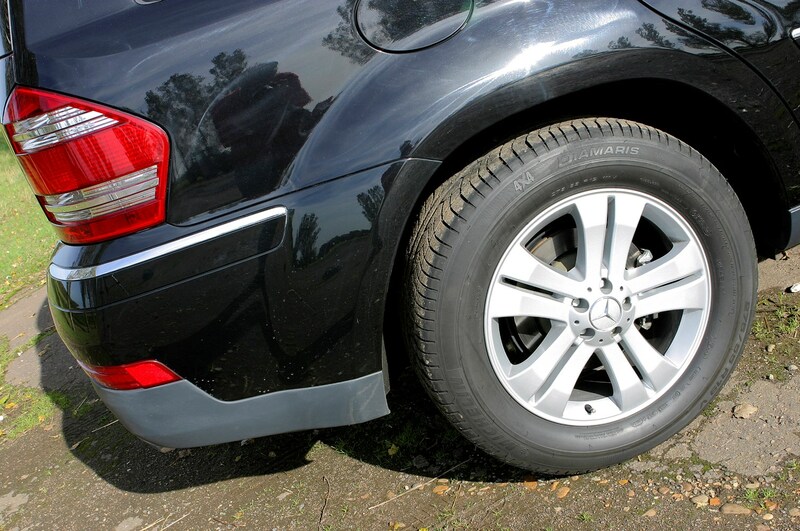 Despite being such a tall vehicle, body roll is well controlled in corners and its weight has been kept as low as possible to ensure it isn't cumbersome in tight bends. 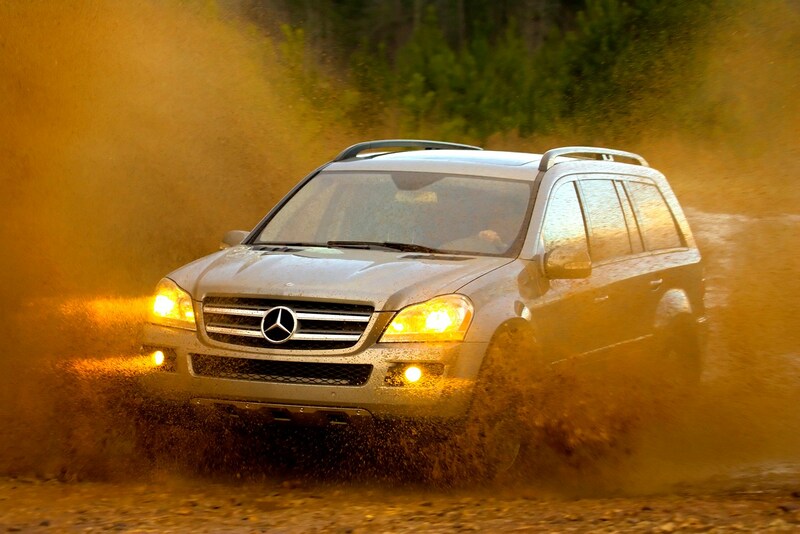 It's designed to be a serious off-roader and is more than capable - and equipped - to deal with terrains ranging from muddy tracks to steep inclines, thanks to Mercedes-Benz's 4MATIC permanent four-wheel drive system. 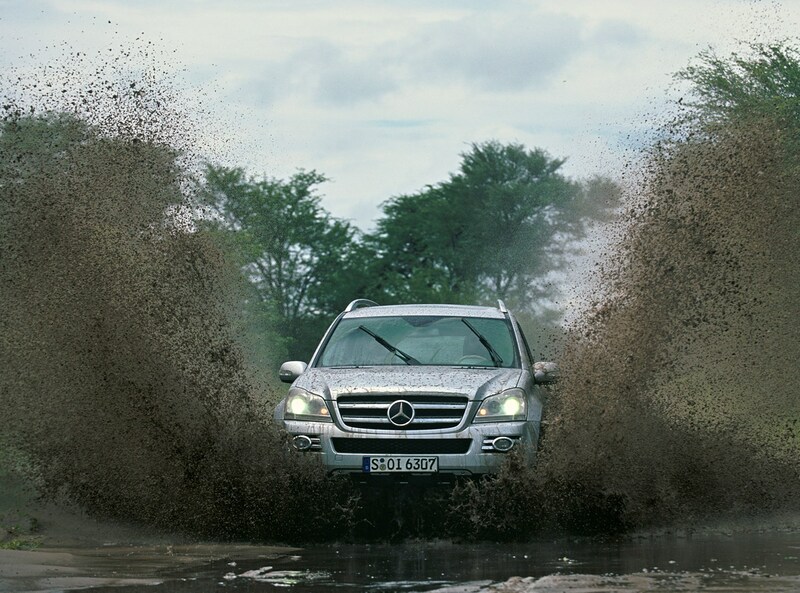 In addition, the OFF-ROAD PRO package is standard giving off-road ABS, a downhill speed regulator, low-range gearbox, differential lock and adjustable suspension, which can add up to 307mm of extra ground clearance. 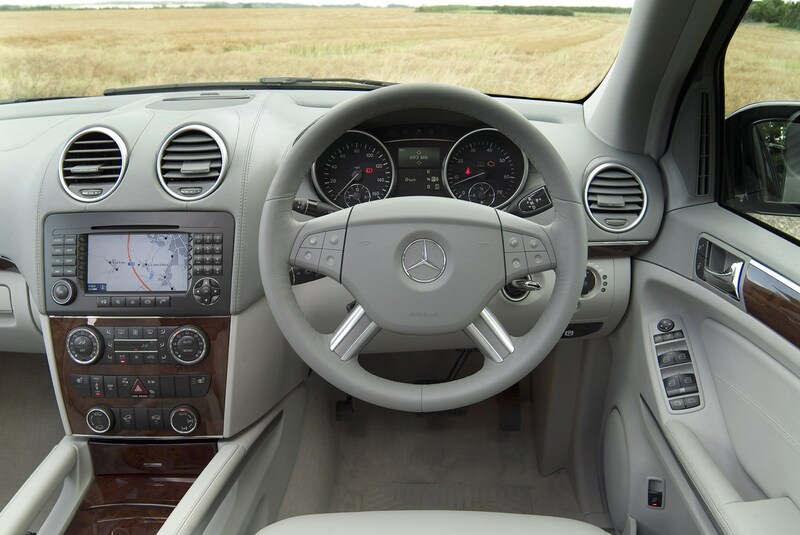 The clean, user-friendly and upmarket feel of the cabin is similar to that of the M-Class and R-Class. 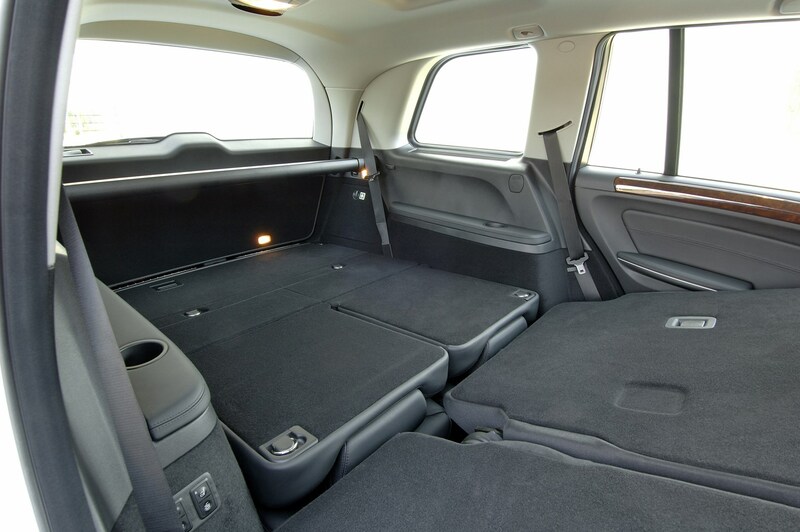 But that's hardly a surprise as, under the skin, all three cars are very similar and are even built alongside each other at the same factory. 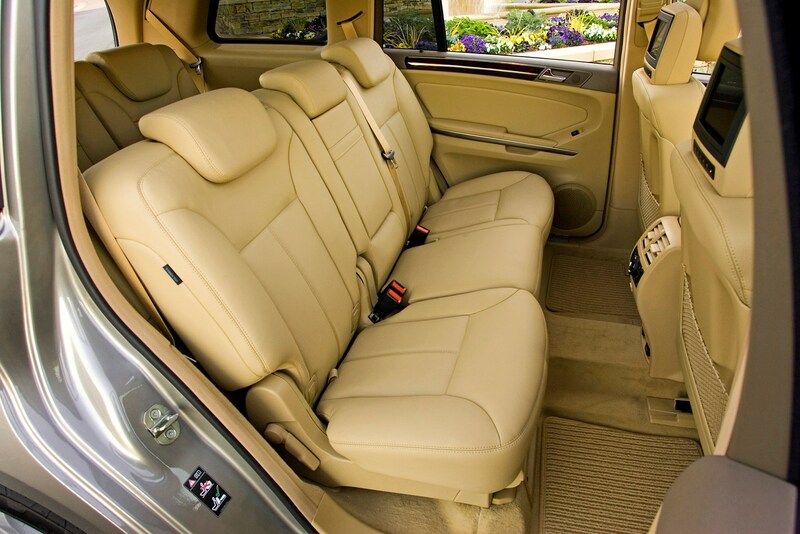 There’s plenty of chrome and leather (synthetic hide is also available), smart switchgear and an emphasis on quality, with subtle detailing and attractive trimming. 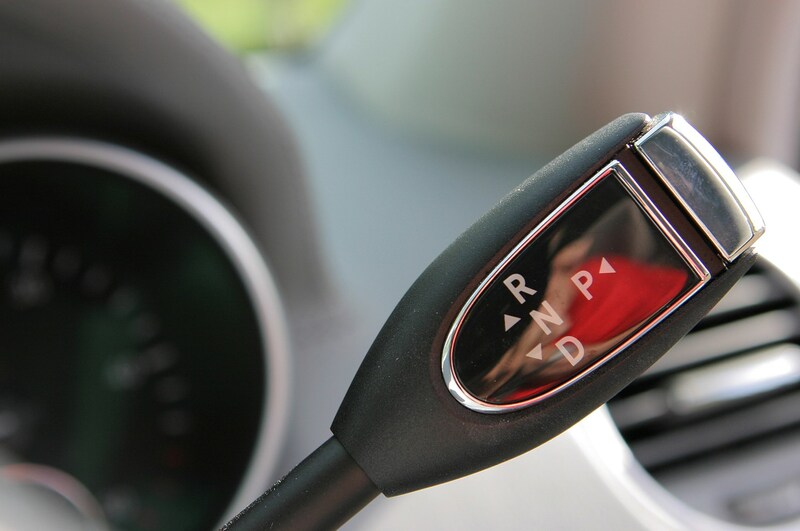 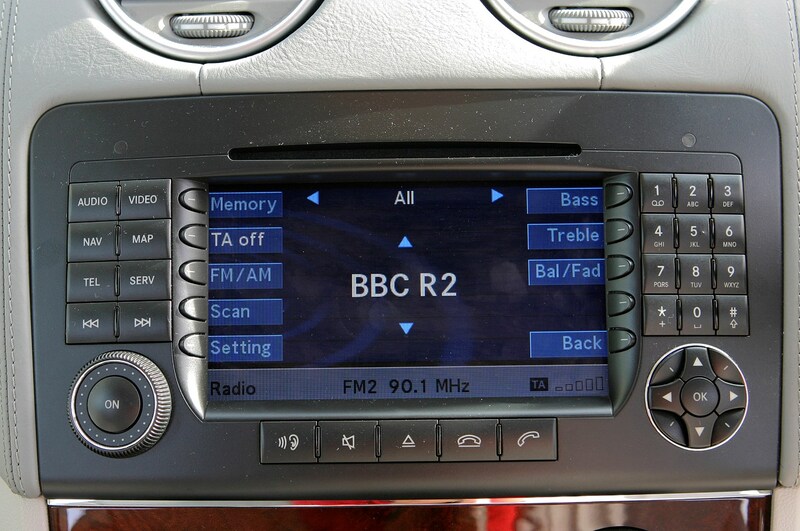 All cars have a smooth seven-speed automatic gearbox that’s operated by a column-mounted stick. 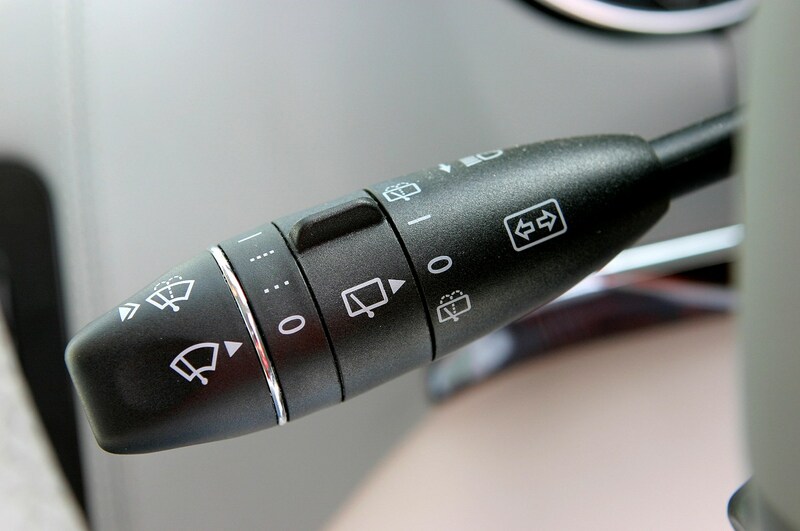 It’s simple to use, and there are rocker switches behind the steering wheel for manual changes. 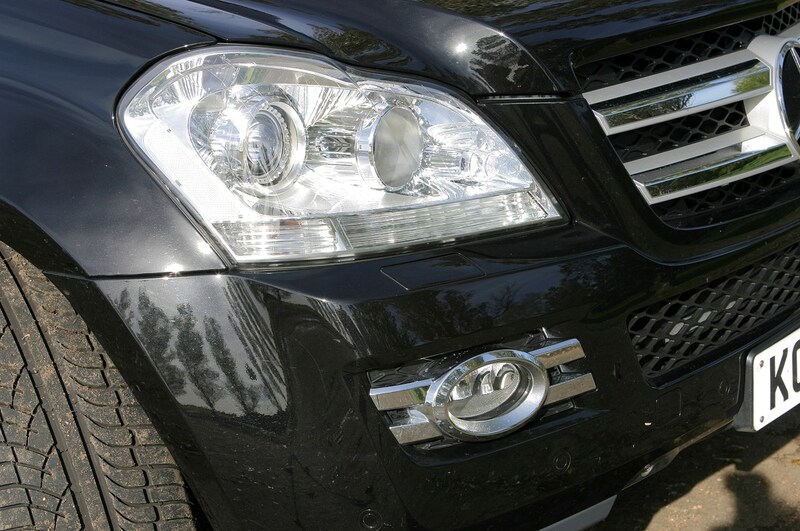 As you may expect from a car of this size, visibility isn't great. 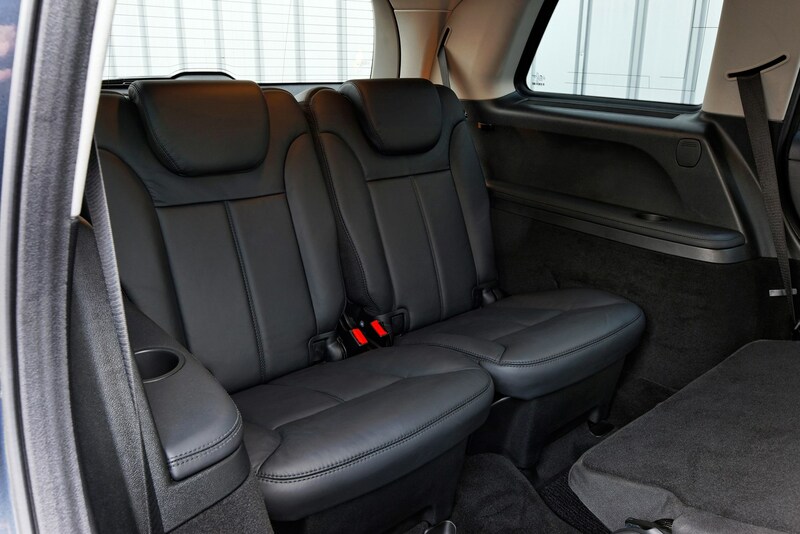 Although the commanding driving position gives a good view of the road ahead, the thick pillars at the back of the car restrict the rearward view. 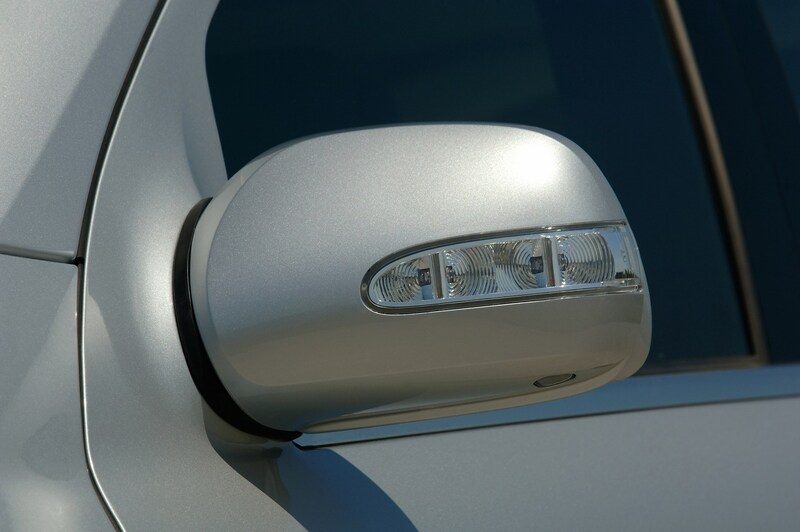 It means that reversing, or attempting a three-point turn, can be tricky, while the door mirrors are small and at times obstructed. 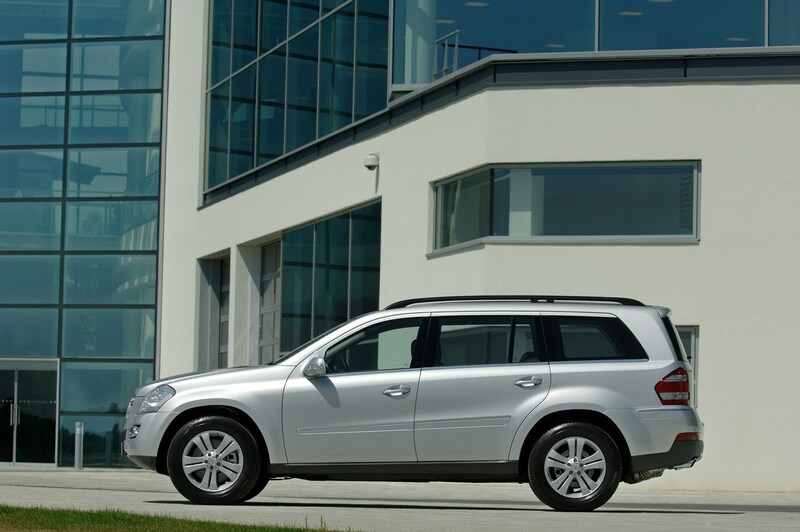 But you do get Mercedes-Benz’s excellent Parktronic parking sensor system as standard. 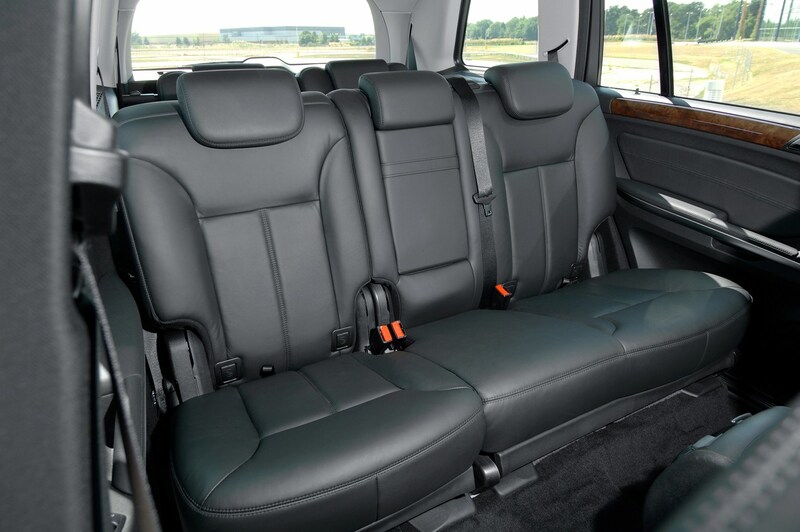 Mercedes-Benz GL-Class comfort is pretty impressive. 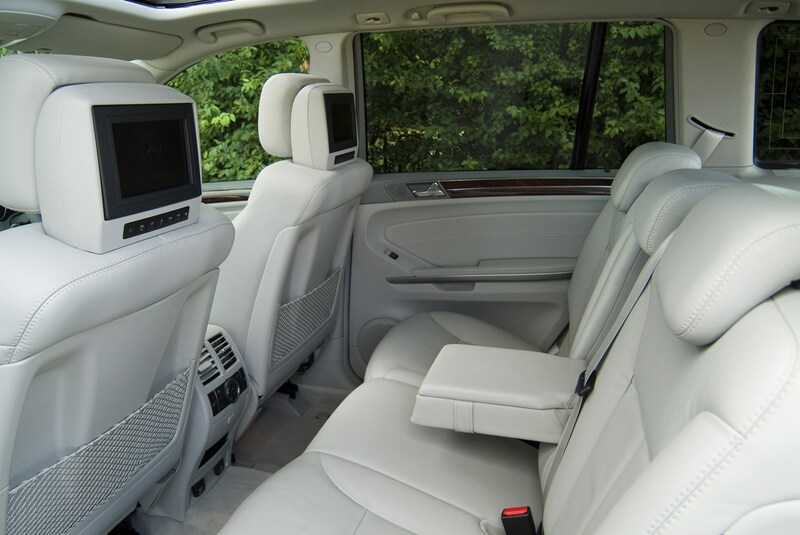 The firm has made sure that all seven on board get a comfortable trip with excellent head and shoulder room and enough legroom to take the pain out of longer tips. 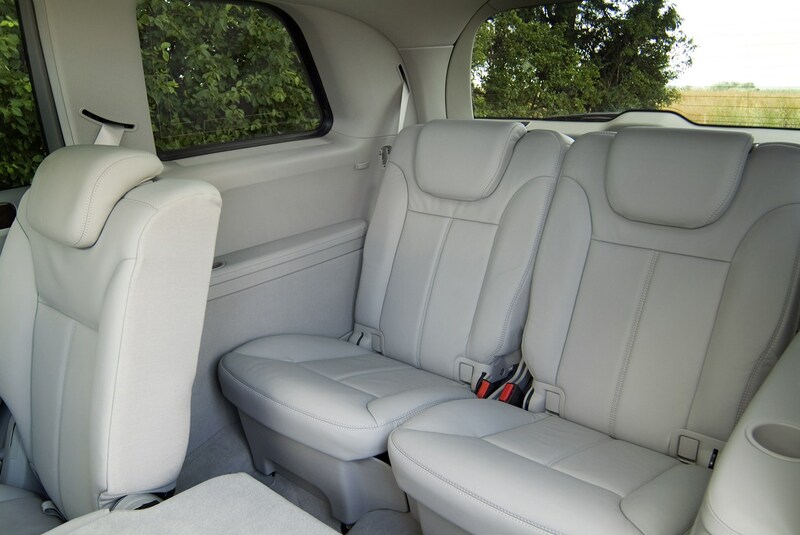 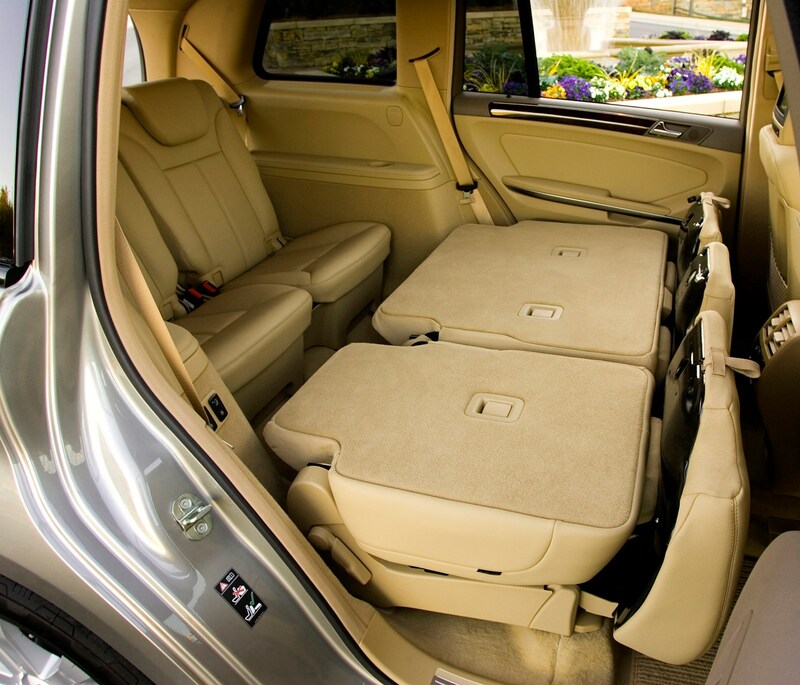 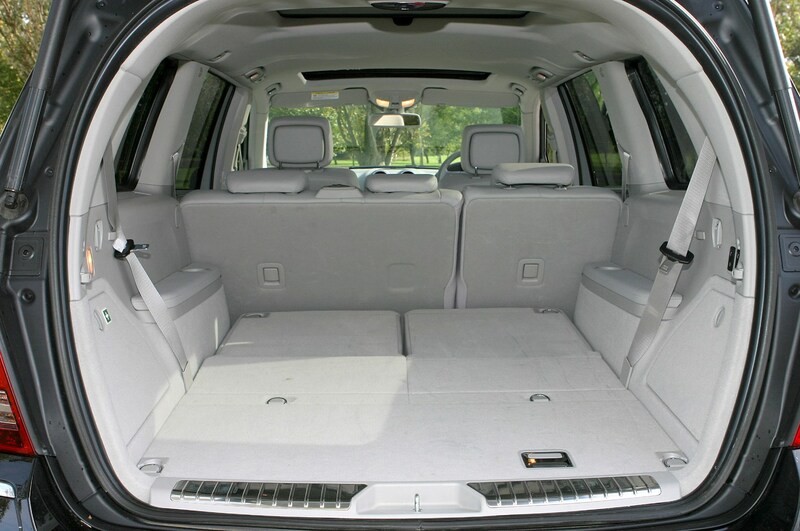 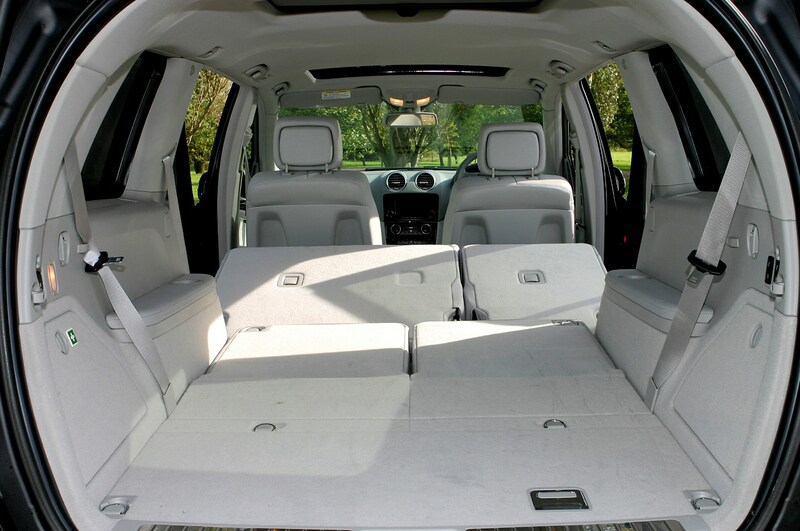 There's plenty of room in the second row of seats, while the rearmost two seats are fine for children and acceptable for adults on shorter trips. 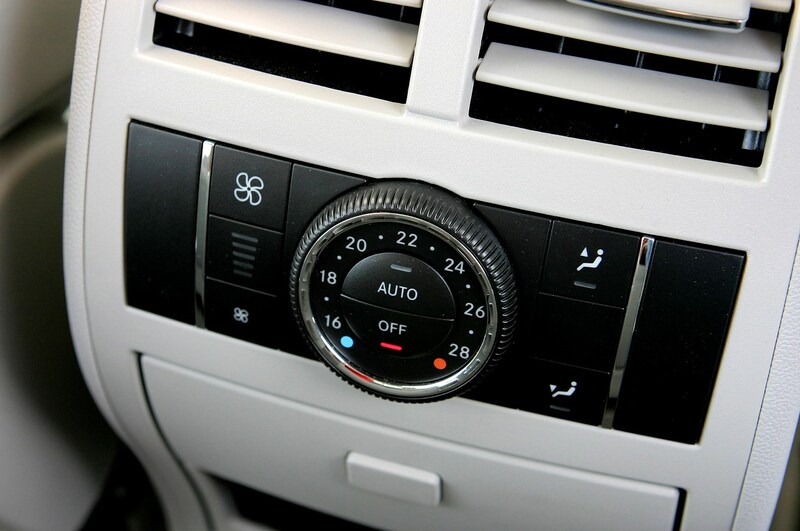 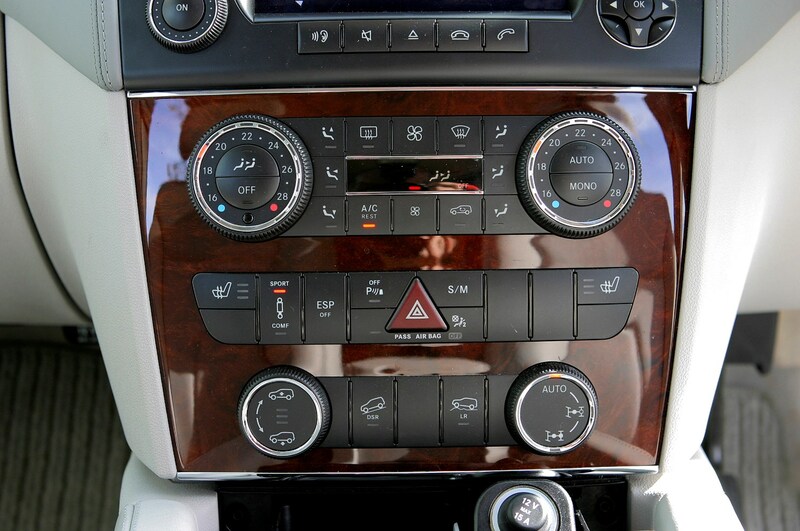 All models get climate control, while it's available in the rear for the GL420 and GL500. 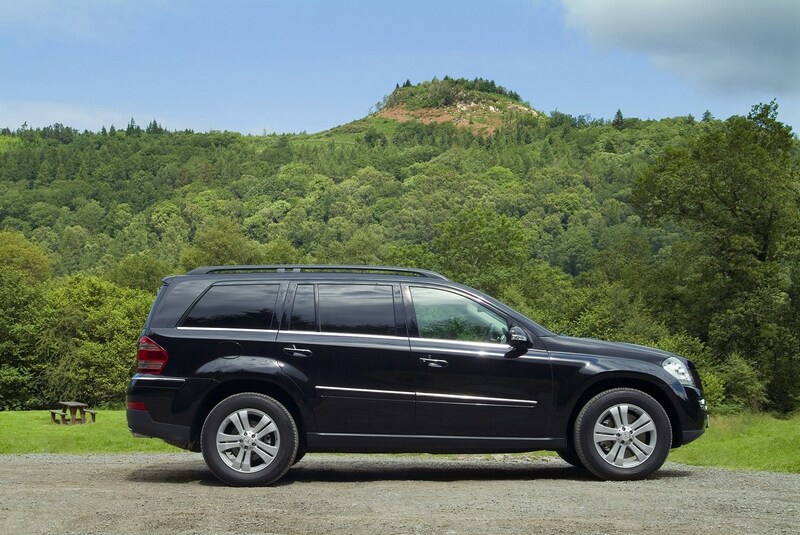 The smooth ride and minimal engine and wind noise make it a relaxing long distance car. 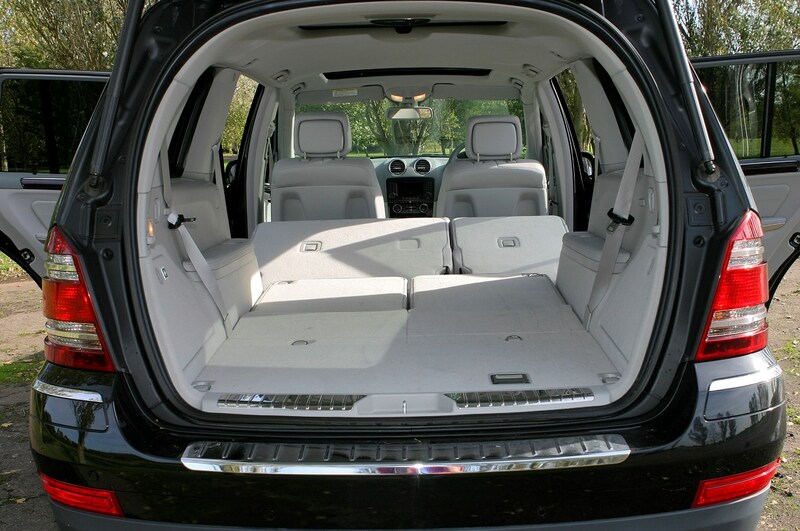 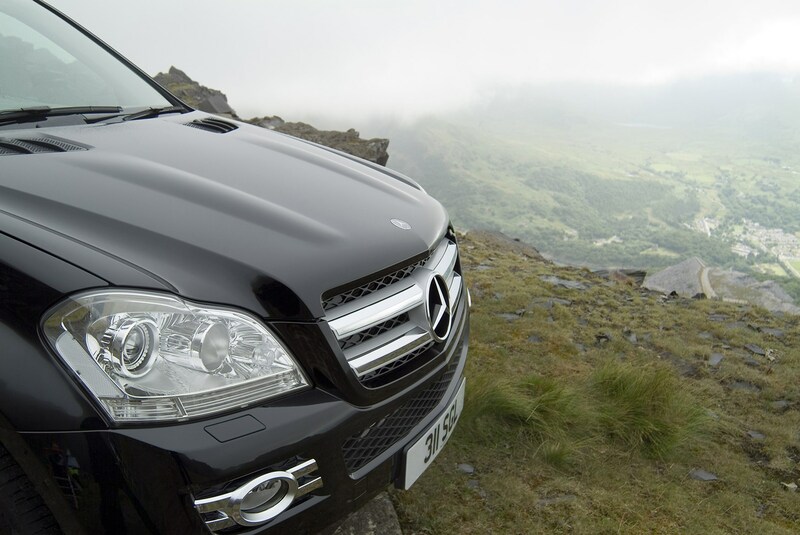 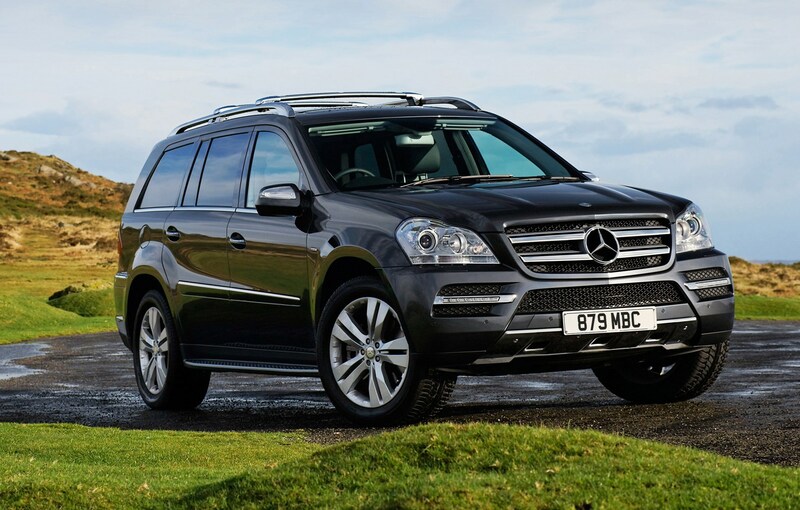 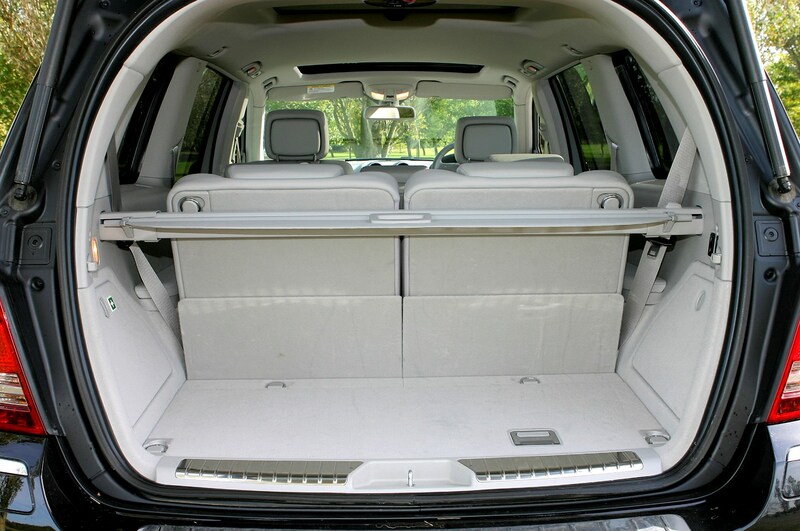 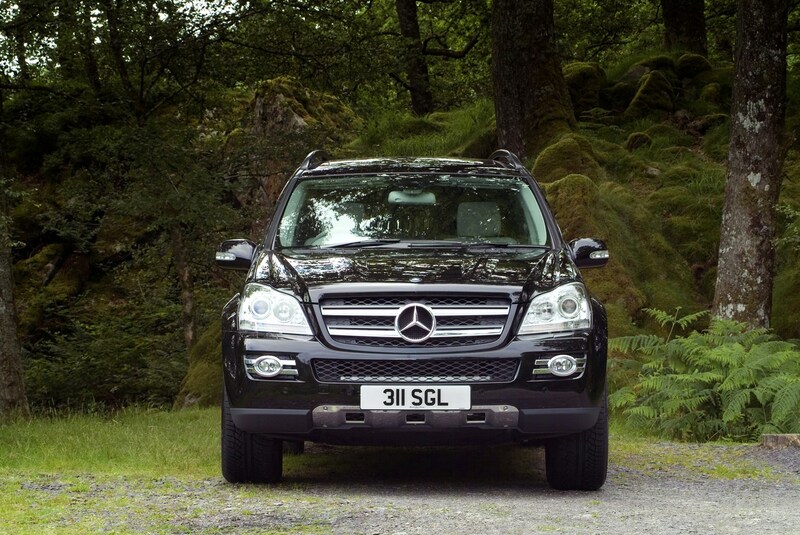 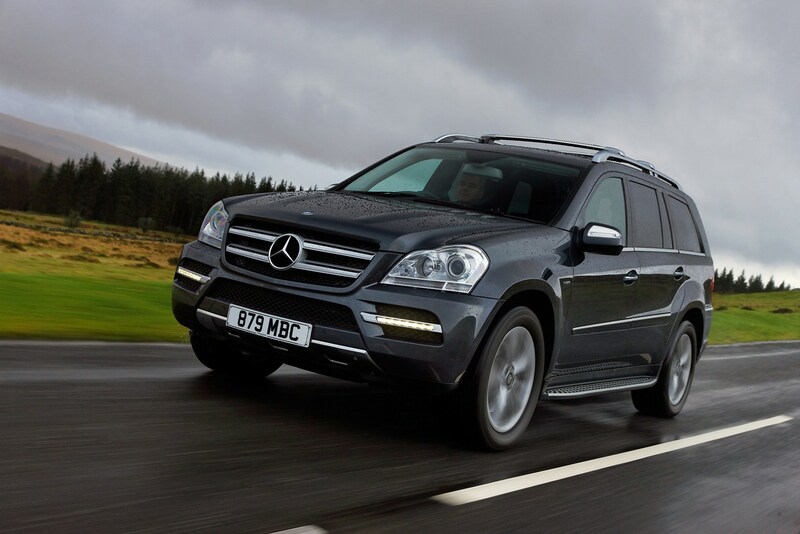 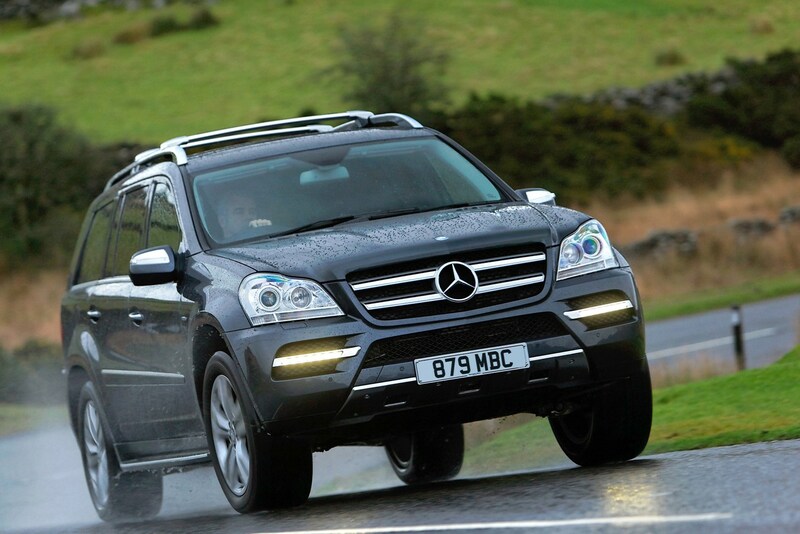 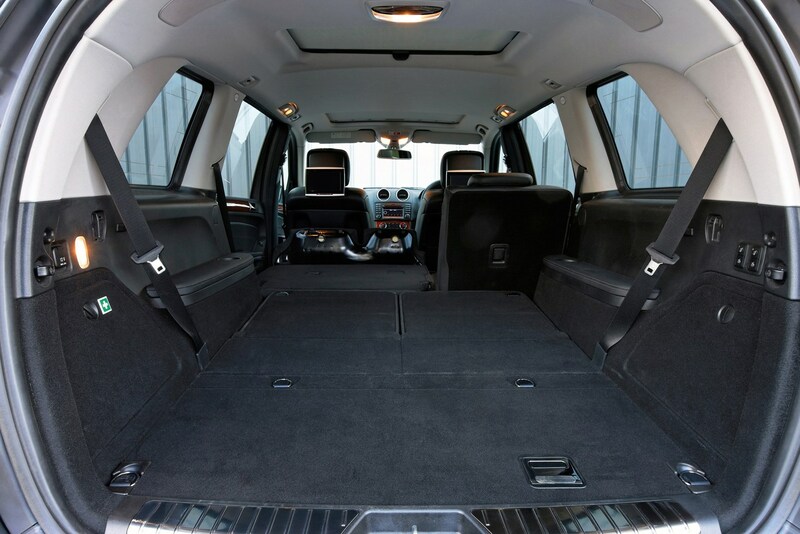 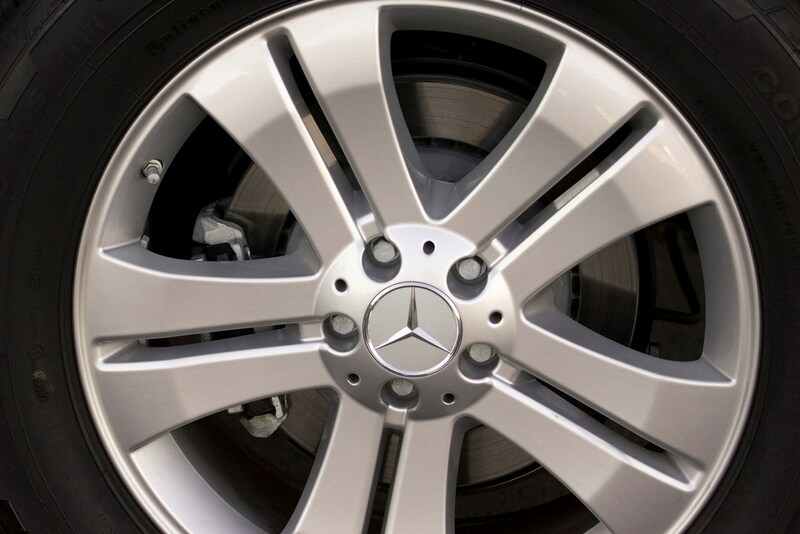 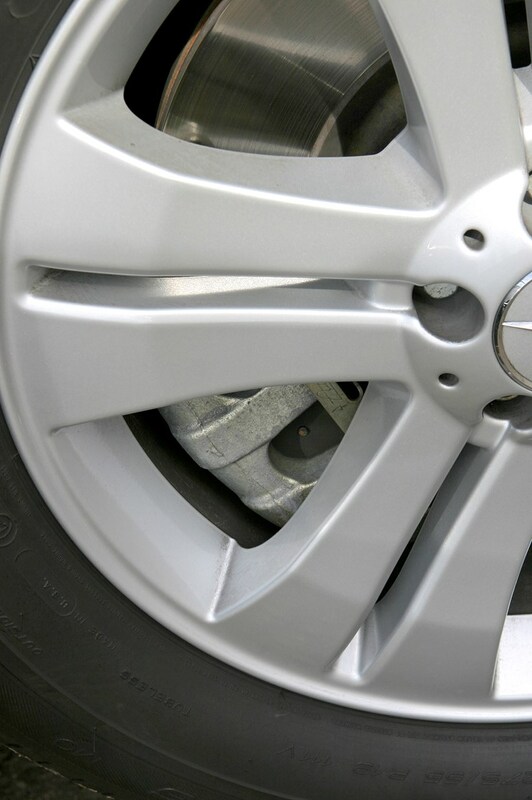 Did you know the most popular review for the GL-Class range is the Mercedes-Benz GL-Class review.